Abby gathers her and Rebecca's friends of 20 years for a getaway to Napa Valley wine country. It's a female-strong affair; the screenplay comes from The Last Man on Earth and SNL scribes Liz Cackowski and Emily Spivey, editor is Julie Monroe (Mud, Midnight Special, Loving), and the score comes from Lisa Coleman (Heroes, Nurse Jackie). Workaholic Catherine (Gasteyer), post-op Val (Pell), homebody Jenny (Spivey), and tired mom Naomi (Rudolph) are equally sold on the chance to relax and reconnect. Netflix has launched a trailer for the Amy Poehler directed comedy "Wine Country" in which she also stars alongside Maya Rudolph and Tina Fey. From the look of the trailer, Wine Country will follow the same formula that recent similar films such as Girls Trip and Rough Night, but on its surface, it doesn't seem like it'll be as raunchy as the former, nor harness as dark a plot as the latter. But as the friends get just a tad tipsy, troubles from the real world begin to intrude on the birthday celebrations and the women start to question their friendships and futures. 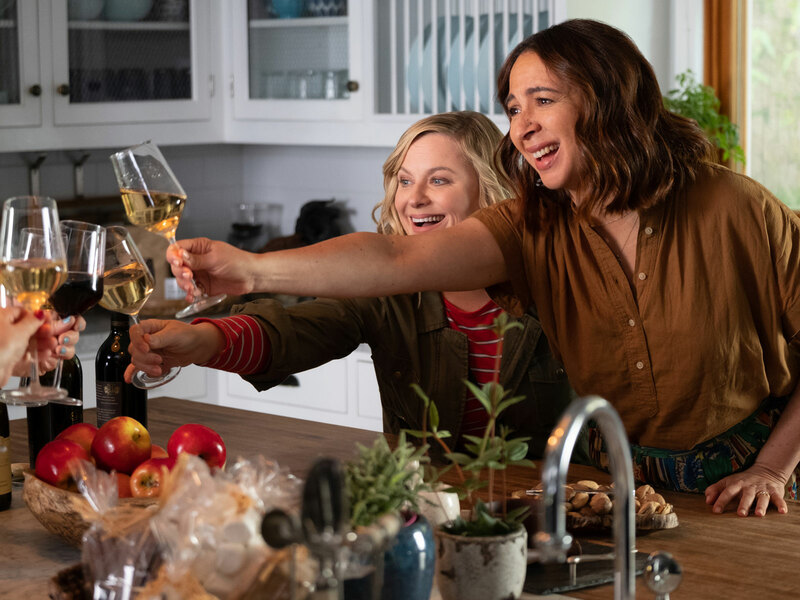 Comedy queens Maya Rudolph and Amy Poehler are getting wasted in our first look at the Netflix comedy "Wine Country". Wine Country will land on our screens - our small screens - on 10th May.